Most famous speed boat to Bambolim beach. Bambolim beach is a small, clean, largely undiscovered beach, in a shaded spot before the mouth of the river Zuari. The beach is carpeted with broken mother-of-pearl and other shells, which makes it a haven for shell-collectors. Thick coconut groves line the beach and provide shade and privacy. The Bambolim beach is a delight for all those who love to go out in the rough seas on a speed boat and enjoy. 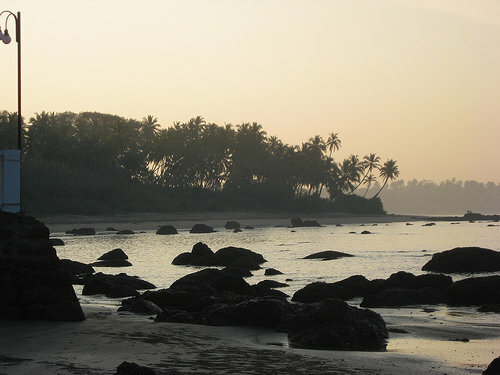 Bambolim beach has its beach shacks where exotic Goan cuisine can be tasted. The restaurants offer not just amazing food but the very location gives you the combination of beauty and delight.